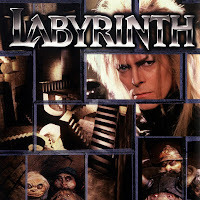 Labyrinth - David Bowie in skin-tight leather and dancing goblins! If you've never heard of this 80's cult classic, then you've missed out on one of the wackiest and most fantastic films out there. 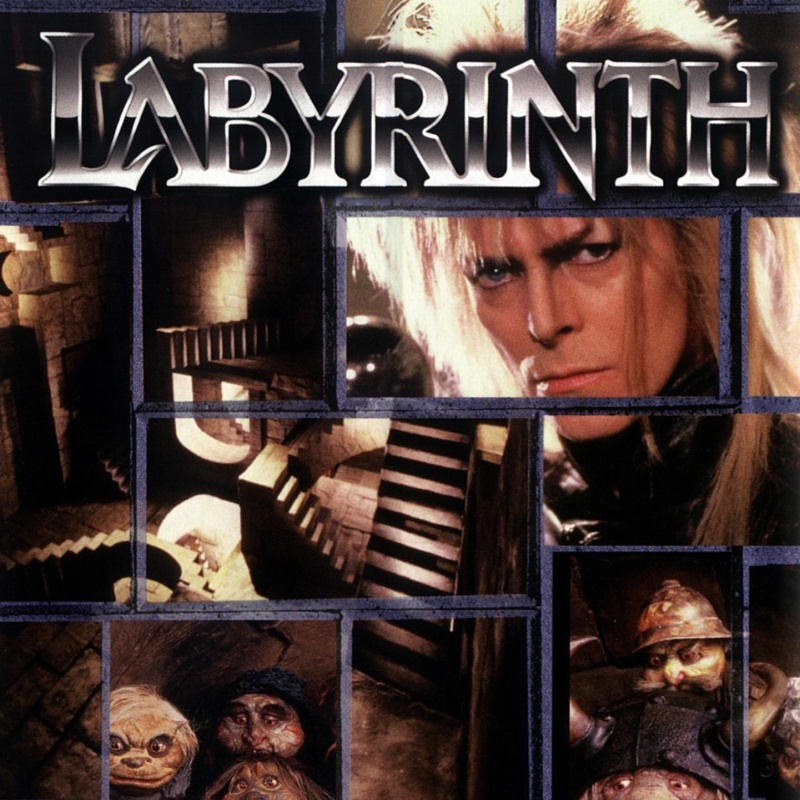 It tells the story of an over dramatic and somewhat whiny young woman named Sarah (portrayed by a young yet incredibly talented Jennifer Connelly) who regrettably wishes her baby brother away to the goblin kingdom and is forced to navigate through a labyrinth to retrieve him from the Goblin King, Jareth. Now this is where the awesome begins, my friends. King Jareth is played by none other than Mr. David Bowie, complete with incredibly inappropriate (and wonderful) costuming that leaves little to the imagination. Not only that, but he also wrote the soundtrack for the film - so this little gem is not only a visual delight, it's a treat for the ears, too. Not impressed so far? Okay, so try this on for size - the film was directed by none other than Jim Henson. Oh yes, there are puppets. Not just any old puppets either; Labyrinth saw the invention of one of the most advanced puppets of the time, a dwarf named "Hoggle". This little fella was so complicated that his facial movements alone required multiple puppeteers to control, while his gestures and body functions were performed by Shari Weiser, a little person (who unfortunately, due to the nature of the puppet, could only see where she was going when Hoggle opened his mouth!). Hoggle was just the icing on the cake though, as the film is a veritable gold mine of weird and wonderful puppets, from the enormous Ludo to the delightful Sir Didymus, and his 'steed', Ambrosius. There is something to be said about the costumes, too. As I mentioned before, the good King Jareth doesn't leave much to the imagination (and that HAIR! ), but his costumes pale in comparison to some of the grander clothing that surfaces later on in the film. Keep your eyes open for the ballroom scene - you won't be disappointed. All of these fine points aside, by far and above the best thing about Labyrinth is the sheer absurdity of it all. This film is undeniably the definition of 'weird', but it really works. 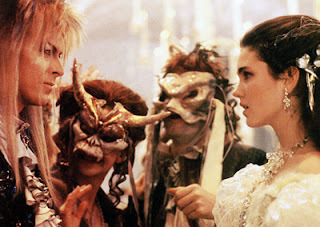 Singing, dancing goblins, talking worms, "The Bog of Eternal Stench" and, despite being very subtly conveyed, a very teenage 'bad romance' between Sarah and Jareth. Throw in some puppets, some awesome music and a little hint of "what on earth..." and you're left with a true classic, a film that you'll never, ever forget.